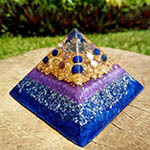 Orgonite is a device that balances and harmonises negative energy. 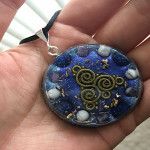 I make a selection of orgonite devices with healing crystals. 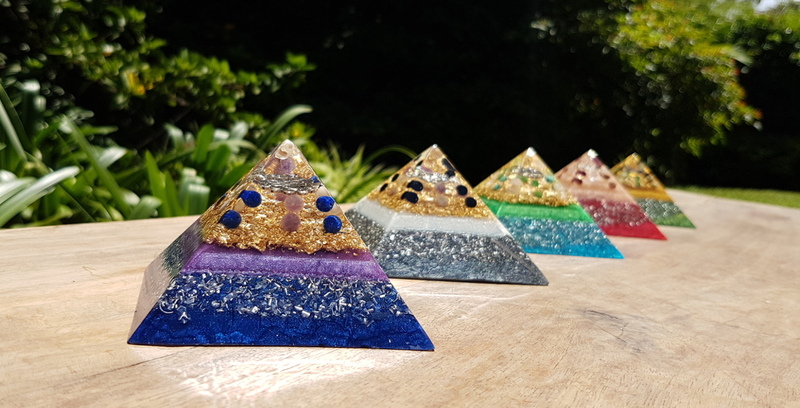 Whether you’re looking for a pendant to wear, or beautiful pyramids and chakra cones to keep the energy in your home healthy, I’ve got you covered! Inspired by the research of Dr. Wilhelm Reich, an orgone energy device is made from resin, metal and crystals, and it converts negative or stagnant bioelectric energy into positive energy. 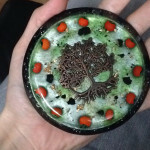 People use orgone energy devices to purify the atmosphere, to counter-act the effects of EMF radiation, to help plants grow, and to aid in healing practices. 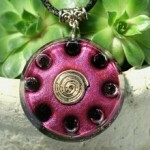 Simply put, an orgone energy device creates a positive, balanced environment through its energy healing properties. 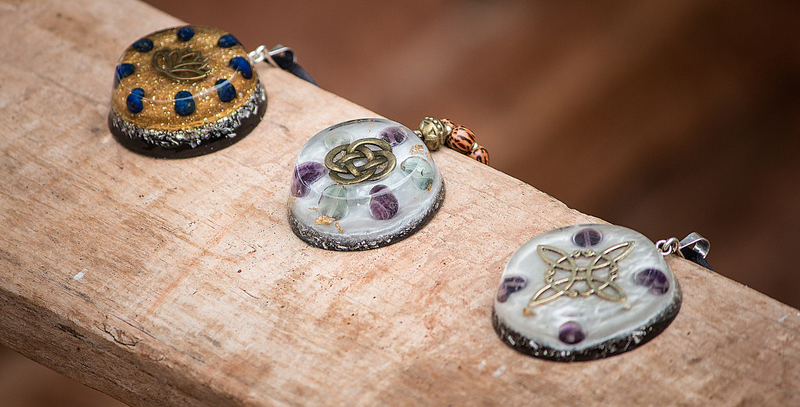 I use a combination of orgone energy devices and healing crystals to help people make energetic shifts. Crystals work by exposing your body to a specific healing frequency, until your natural frequency is raised to resonate with the crystal’s. 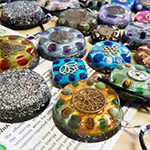 Since orgone energy devices act as amplifiers, orgone pendants and art pieces are a wonderful way to make use of healing crystals. 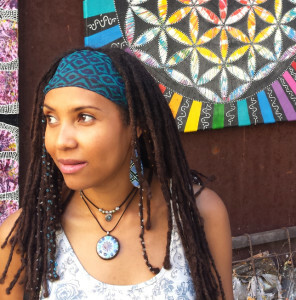 All orgone jewellery and art displayed here is lovingly and carefully handcrafted by myself in beautiful, high-vibe surroundings in my home country, Zambia, and shipped from London, UK, where I am permanently based. You can read more about me and how I came to start Orgonise Yourself here. 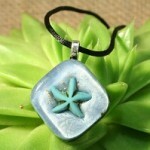 I create each piece with the intention that it will find its way to the person who will benefit from it the most. 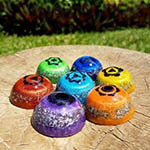 Orgone energy devices are a wonderful tool for anyone who is on a journey of self-healing and personal and spiritual development. Amazing results when used during a Reiki session with a client. 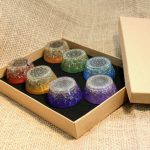 I am planning on using this orgonite set with a Clearing Session that I offer at my spa . Strong vibrational set and so happy that I found this seller. You can tell by all the pieces what compassion and love go into each piece! What a blessing! BEAUTIFUL!!!! So pleased with this necklace! 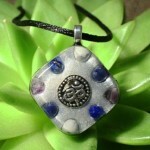 Thank you for your guidance Karin in helping me select the perfect orgonite pendant! You have a special talent making these little masterpieces! Also thank you for the little gift enclosed with my order! The care you put into the packaging ensured my parcel arrived safe and sound. Thank you!